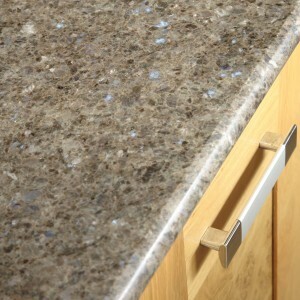 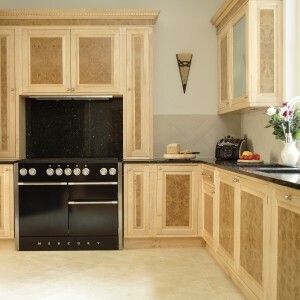 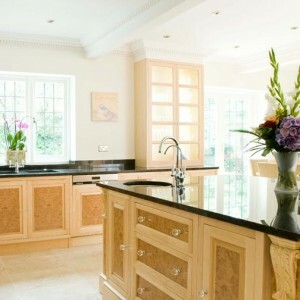 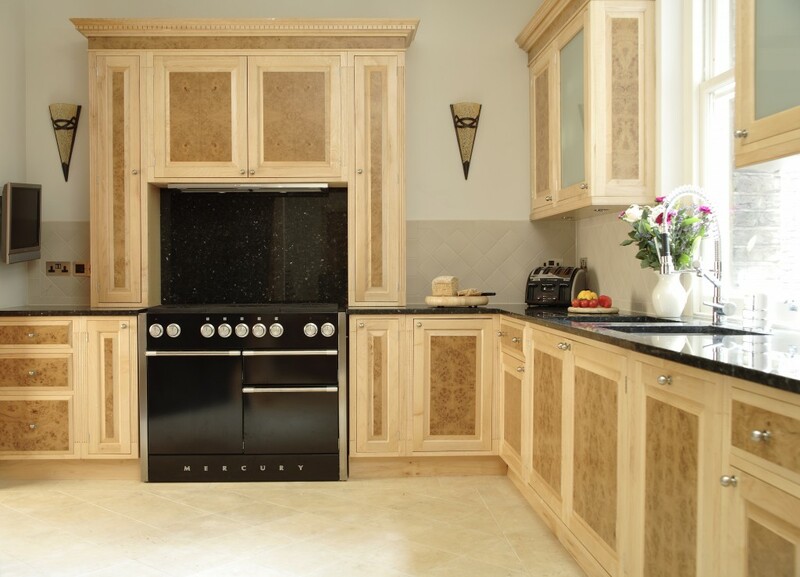 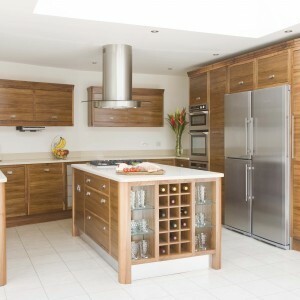 We work a lot with Paragon Furniture, specialists in bespoke handmade luxury kitchens and furniture. 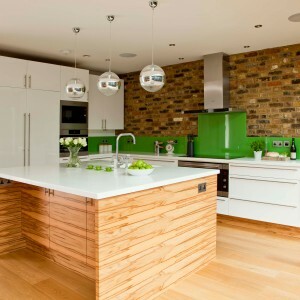 Their work is of exceptional quality and they use a variety of materials to suit different tastes and styles of property. 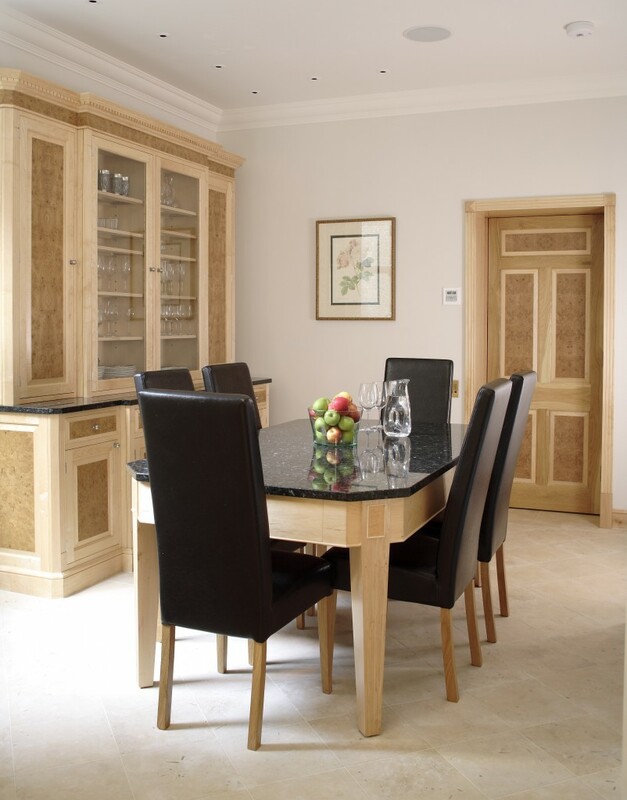 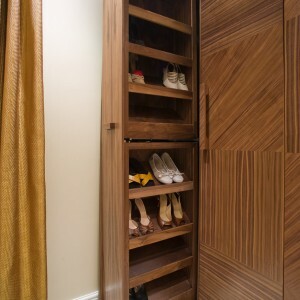 Many of their clients have opted for cabinetry and furniture crafted from exotic real wood veneers, which is where Read Veneers comes in. 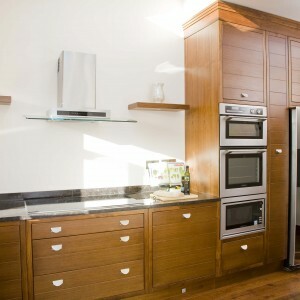 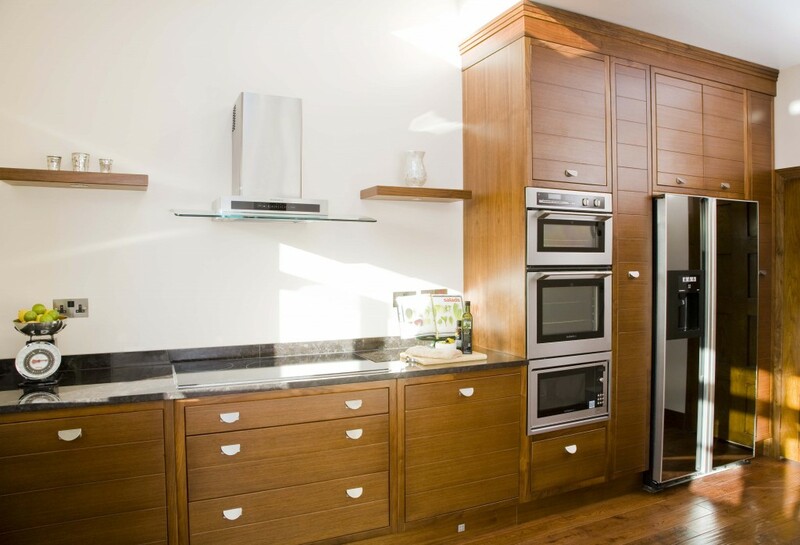 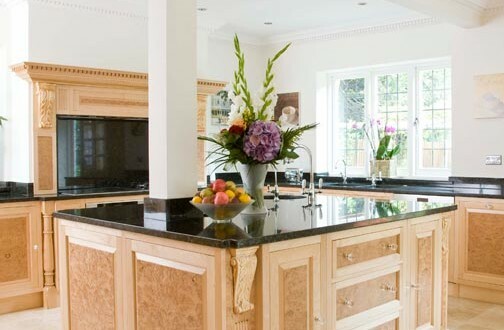 The cabinetry of this kitchen was crafted using solid and veneered white American oak. 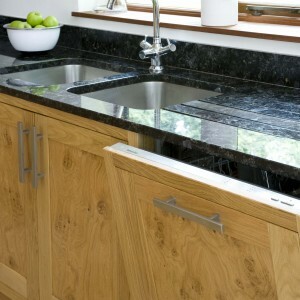 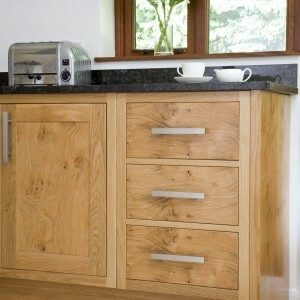 The decorative inset wood veneer panels and drawer fronts are clustered oak. 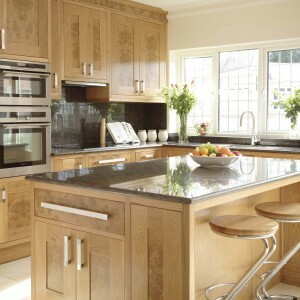 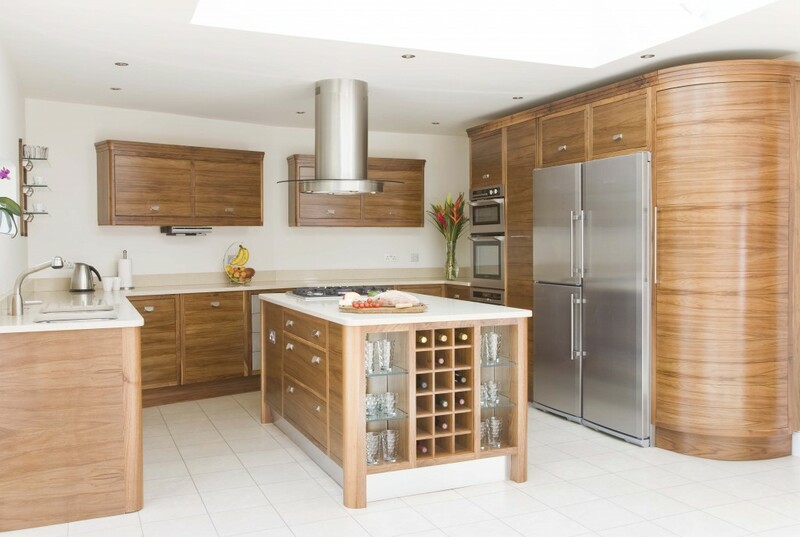 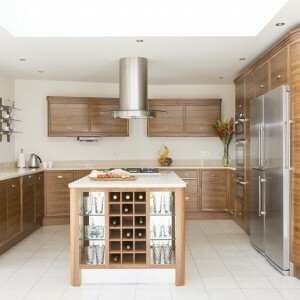 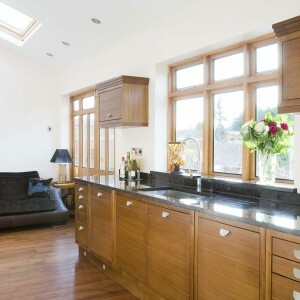 This kitchen was beautifully hand-crafted in American solid oak and inset with clustered oak wood veneer panels. 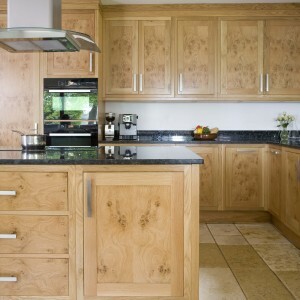 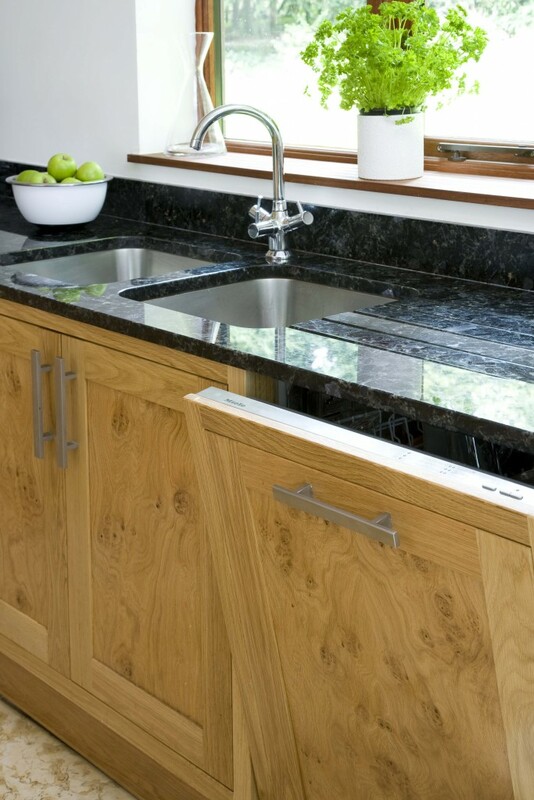 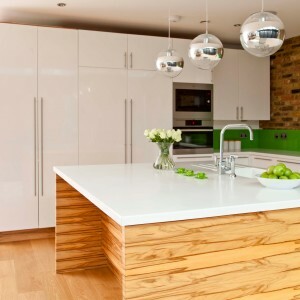 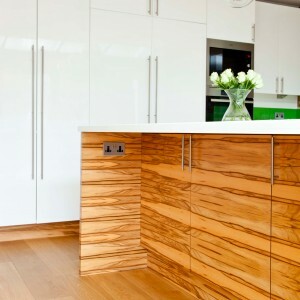 Solid and veneered maple was the timber of choice for this kitchen. 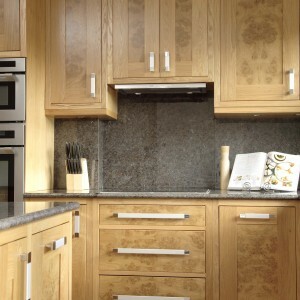 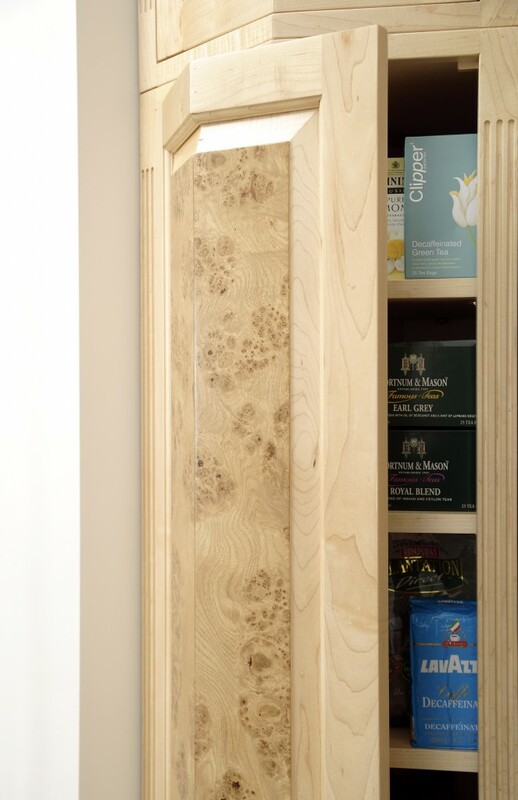 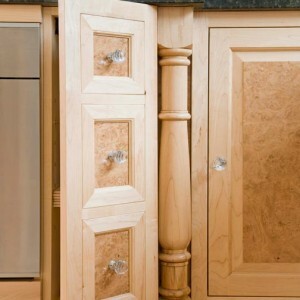 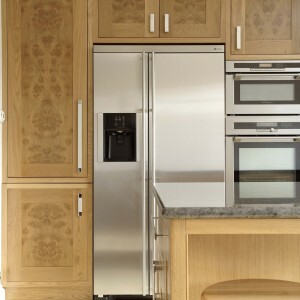 The centre bespoke veneered doors and drawer fronts were crafted in burr oak. 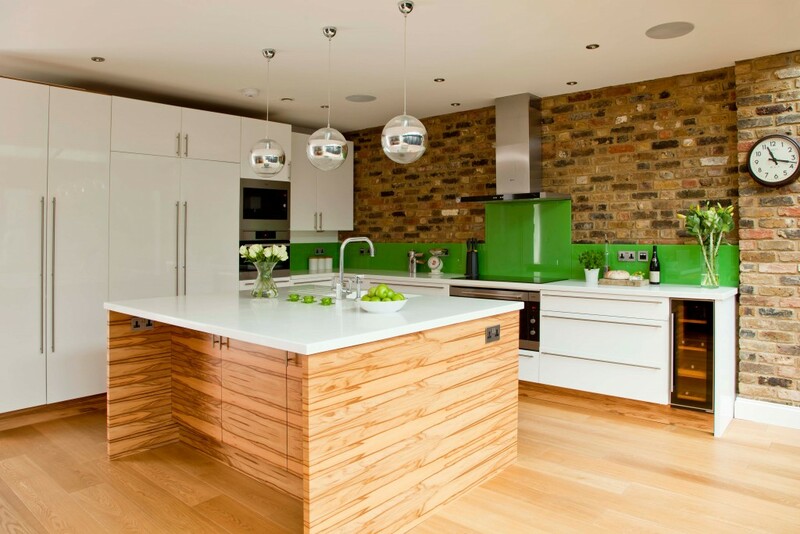 We really like what Paragon have done with this kitchen, with the fusion of textures and varying shades of the Corian worktops, the coloured glass splash backs and the antique yellow stock brick wall. 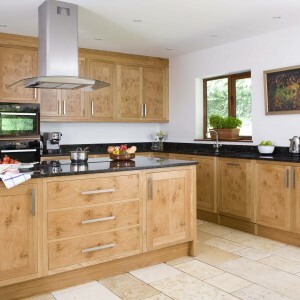 The timber is satin walnut. 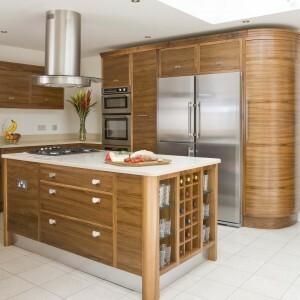 These hand-crafted curved surfaces create a natural flow and really show off the beauty of walnut veneered panels. 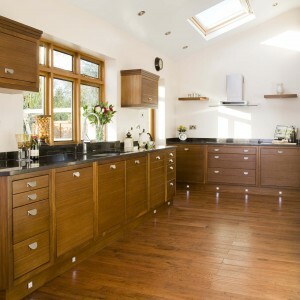 This eye-catching kitchen in solid and veneered Black American walnut was crafted by Paragon’s experts using the cross-grain quartered walnut doors and drawer fronts that we created for them. 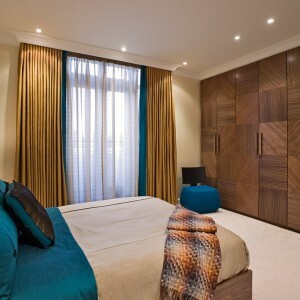 These stunning American black walnut wardrobes were designed around alternating grain panels, just one of the many effects that can be achieved with featured wood veneer panels. 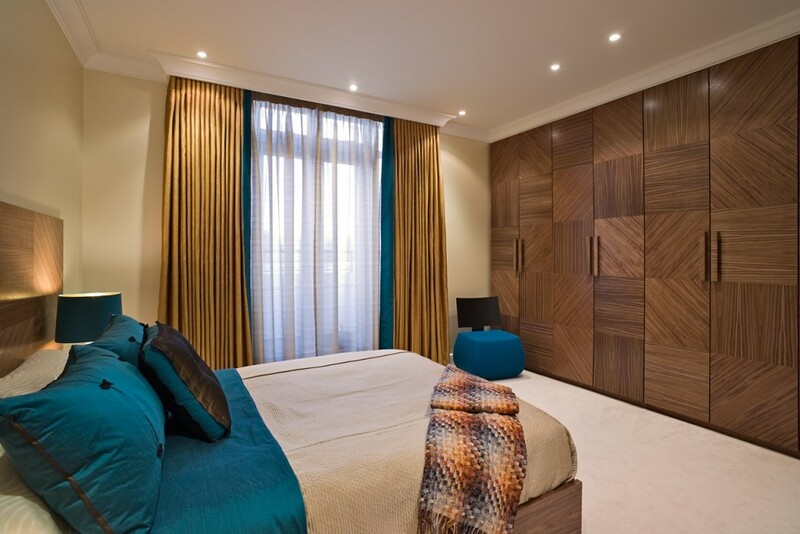 Paragon’s craftspeople are very good at creating a seamless feel with matching wardrobe handles, headboard and bed. 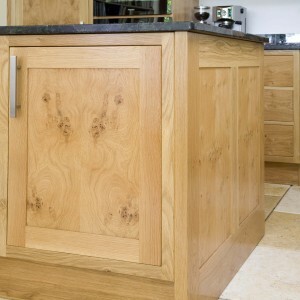 With many thanks to Paragon Furniture for permission to use their photographs. 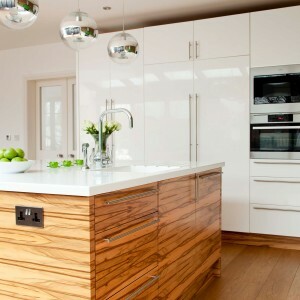 All images © Paragon Furniture.